Just how much and how widely Shakespeare read are matters of some scholarly dispute; but when the sources are more certain, as with Holinshed’s Chronicles, the level of engagement—with what intensity, precision, and care Shakespeare read—become remarkably apparent. 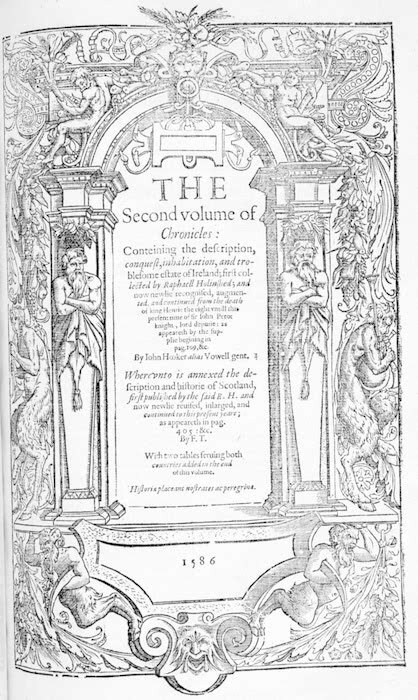 The second volume of Holinshed’s Chronicles, which offered a prose history of England’s early monarchs and internecine strife, provided much of the material that made its way into Shakespeare’s many history plays, from the early exercises of 3 Henry VI to the later plays like Henry V.
The volume Shakespeare probably consulted was first published in 1587, in folio format; at several hundred pages, it would have been an expensive acquisition, and therefore owned perhaps by the theater company for which Shakespeare was writing, to be consulted by writers on something of a need-by-need basis. 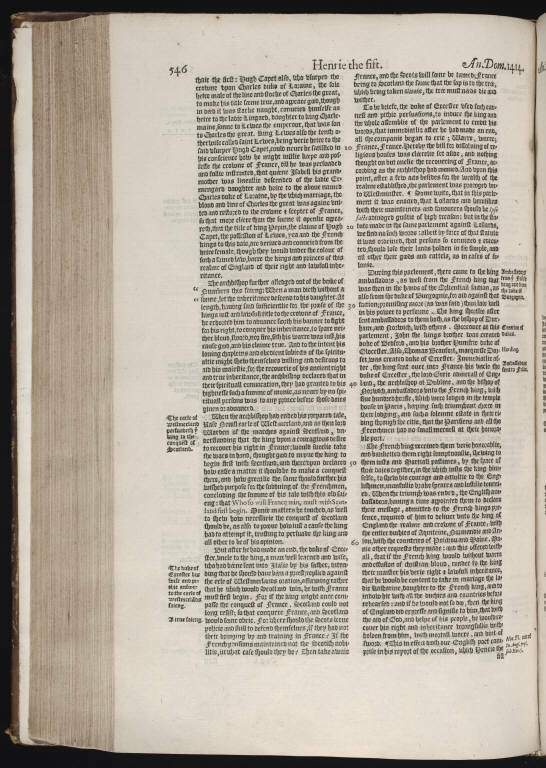 The page displayed here is a typical example of the sixteenth-century folio’s format: two columns per page, printed in black letter font, with occasional summaries of paragraphs—usually confined to plot points—printed in the margins. King: May I with right and conscience make this claim? 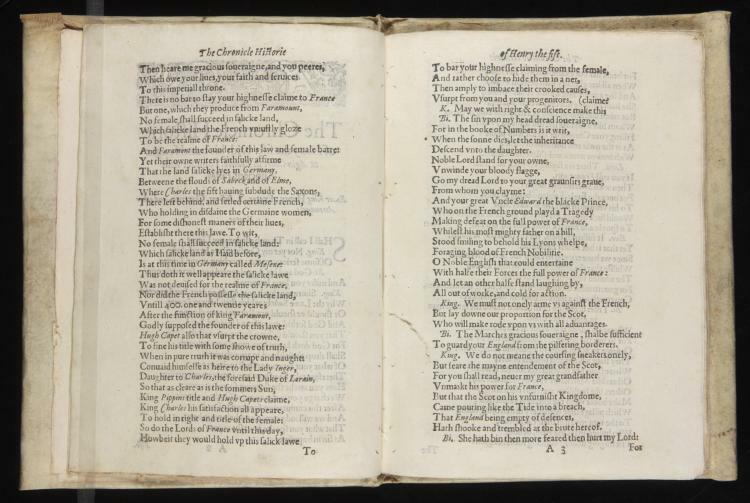 Shakespeare’s reading of Holinshed is getting put, here, to serious dramatic work—but not, perhaps. without its due measure of scrutiny. If such a line can so easily plucked from one work and put into another, what does that say about the flexibility of King Henry’s own politics?